If it had come out just a week earlier, around April 1, no one would have believed it. 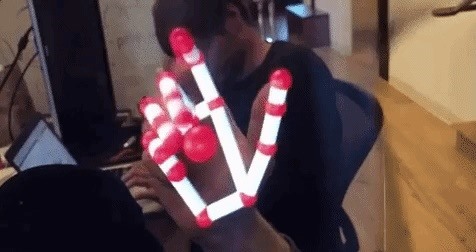 But it's true, Leap Motion has developed its own prototype augmented reality headset, and it looks pretty wild. 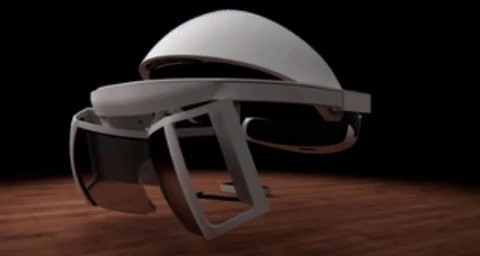 On Monday, April 9, the company unveiled Project North Star, a device that the company describes as having "the technical specifications of a pair of augmented glasses from the future," but at a fraction of the cost of some of the AR devices currently on the market. 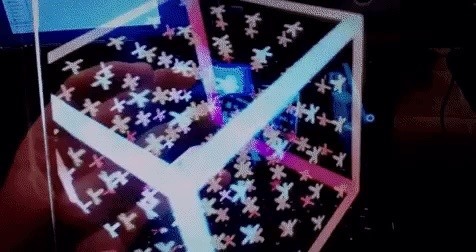 "Borrowing components from the next generation of VR systems, we created an AR headset with two ultra-bright, low-persistence 1600×1440 displays pushing 120 frames per second with an expansive visual field over 100 degrees in diameter," said Leap Motion co-founder David Holz, in a blog post on the company's website. "Coupled with our world-class 180 degree hand tracking sensor, we realized that we had a system unlike anything anyone had seen before." But rather than adding itself to the growing list of AR headset competitors, the company is instead making the hardware design schematics and related software open source, effectively allowing anyone to develop their own version of Project North Star. All of that will primarily be made possible by one of the key features of the device, which is its cost to build: less than $100. 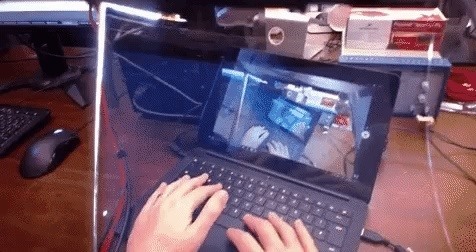 To build the final prototype (after much experimentation), Leap Motion used an Analogix display driver with two fast-switching 3.5-inch LCDs from BOE Displays to arrive at what the company claims is "the widest field of view, and the highest-resolution AR system ever made." The visor-style headset is also equipped with the company's rectangular hand tracking module mounted at its top. The company also revealed that all those tantalizing hand-tracking and interface experiments shown off over the past month were in fact tests using Project North Star. "We hope that these designs will inspire a new generation of experimental AR systems that will shift the conversation from what an AR system should look like, to what an AR experience should feel like," says Holz. Aside from being an open source AR headset project, what's obvious is that Project North Star will also serve as a testing ground for Leap Motion's hand tracking development. Considering the fact that there are already so many players in the AR game, rushing to apply for patents and keeping the development, and in some cases, the headset itself, mostly under wraps, Leap Motion's open-source strategy seems well designed to ensure that it has at least some major stake in AR's mainstream future. In the comments section of a subsequent blog post discussing the device, Leap Motion reaffirmed that this isn't an attempt to pit itself against existing and future players. Instead, the company states, "The aim of Project North Star is not to produce a consumer-ready headset, but to explore what a fully realized AR experience can feel like." We'll soon find out just how viable Project North Star is, as Leap Motion plans to keep on rolling out development experiments with the hardware and software in the coming months.